Showing the "out-of-the-box" thinking the Perth Mint is so well-known for, the historic coin facility debuted a special Mini Roo 0.5g Gold Bullion Coin. Struck from 99.99% pure gold to bullion quality, this unique little coin offers a new option to those who might be interested in owning a gold strike but are unwilling or unable to invest a lot of money into that desire. Containing only 0.016 Troy Ounces of the precious metal, the coin features a price point that many will find hard to resist. 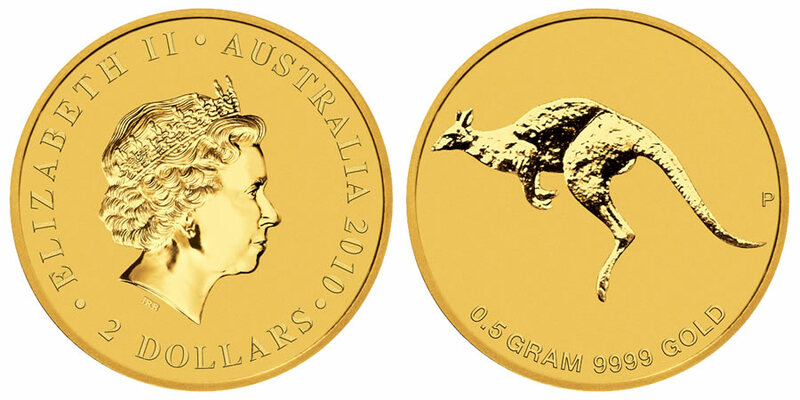 Add in the fact that the Perth placed an image one of Australia's most iconic animals, the kangaroo, on the coin's reverse - and the coin becomes even more desirable. 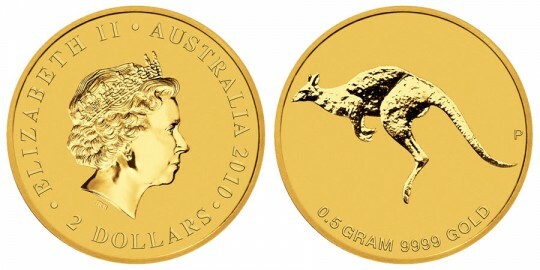 The Perth has been creating kangaroo bullion coinage for years, but the Mini Roo first debuted in 2010. Plans call for the strike to be an annual staple of the Perth. The obverse depicts Ian-Rank Broadley's effigy of Queen Elizabeth II. Also included are the inscriptions "Elizabeth II", "Australia", the year and "2 Dollars". The reverse design shows the iconic kangaroo.